Suzuki has made some subtle changes to its middleweight adventure-tourer for 2019. In terms of the price and mechanical specs, the 2019 version remains unchanged. 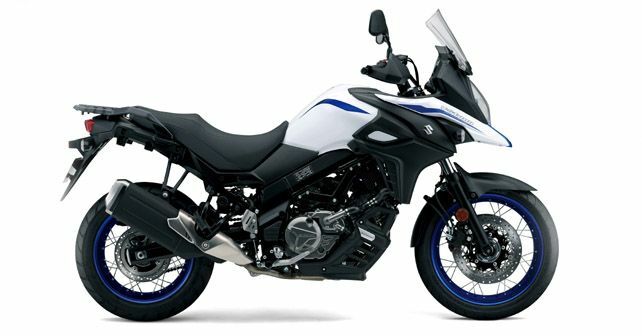 Suzuki Motorcycle India Pvt Ltd (SMIPL) has launched a slightly updated version of the V-Strom 650XT ABS adventure tourer for 2019. While the price and mechanical specs of the new bike remain unchanged, the 2019 version gets new graphics, hazard indicators and new side reflectors to add to the bike's touring capabilities. The 2019 Suzuki V-Strom 650XT ABS continues to be powered by a 645cc, liquid-cooled four-stroke DOHC motor, which generates 70bhp and 68Nm of torque. The motor is mated to a six-speed gearbox and comes with a three-mode traction control system and dual-channel ABS. Like its predecessor, the 2019 version is also available in two colour choices – Champion Yellow and Pearl Glacier White.